KleenGuard Personal Protective Equipment (PPE) enables rather than inhibits – allowing for maximum productivity and safety for you and your employees. 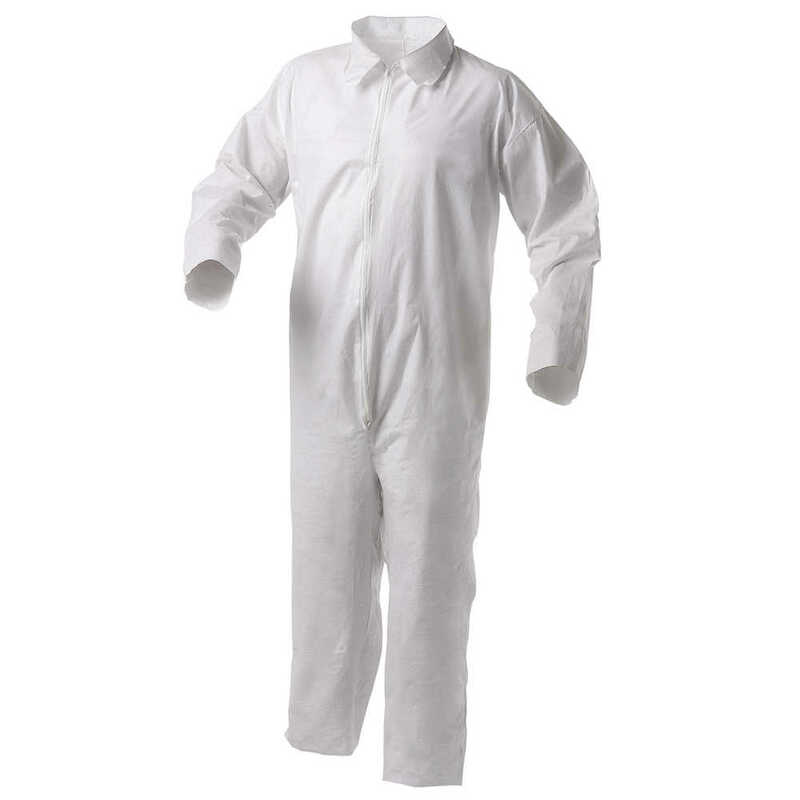 When you’re looking for an economical way to help protect your workers during potentially hazardous tasks, the Kleenguard brand A35 Disposable Coveralls, for Liquid and Particle Protection, are an excellent choice. The lightweight coveralls are made of microporous film-laminated material that helps protect against dry particulates and liquids. This model of the protective suit has open wrists and ankles and a zippered front. Personal protective clothing (PPE) such as this is appropriate for protecting clothing and skin during tasks like pressure washing, painting, general industrial manufacturing and maintenance, helping protect workers from liquids, dust and dirt. It meets American National Standards Institute and International Safety Equipment Association ANSI/ISEA 101-1996 sizing standard and comes in sizes from small to 5LX. Making the right Personal Protection choice is difficult. Perform with distinction with KleenGuard Personal Protective Equipment (PPE).